I got theses wickedly awesome earrings in 2008 in Cape Town, unfortunately, somewhere along the line, I lost one, or someone ate it. They were bought from accessories label – Minx, which was then stocked at a store named ‘Nylon’ located just off Long Street. Nylon no longer exists and I have no idea where to find this Minx. See my predicament? 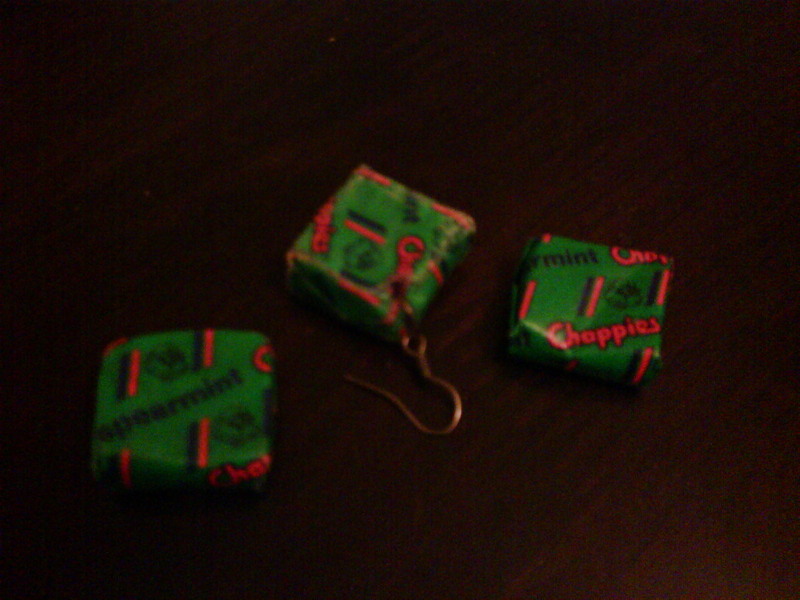 Thankfully I’m a problem solver; so this afternoon I bought the replacement Chappies (for a whole 25c each) to recreate the pair. Let’s hope this goes well.